Savvy Rest’s quality materials were chosen with your health and the health of our planet in mind. We source environmentally-conscious, natural materials that support a healthy sleep. The following materials will not introduce off-gassing chemicals, dangerous flame retardants or other toxic chemicals into your home or the air you breathe. There are two primary components in our organic latex mattresses: the latex and the casing. Latex is a natural product derived from trees. Rubber trees grow approximately 10 degrees north and south of the equator, and small farmers collect their sap to make latex foam. We carry two types of latex: Dunlop and Talalay. The latex that we use also comes in Soft, Medium and Firm densities. Customers can mix and match the layers of latex for the perfect, customizable feel. Dunlop is comfortable, durable and supportive. Our Dunlop latex supplier's rubber tree farms are certified organic to U.S. standards. Also, our Dunlop meets the Global Organic Latex standard (GOLS). We often compare Dunlop to pound cake since it has an overall firmer feel while Talalay is more like angel food cake. 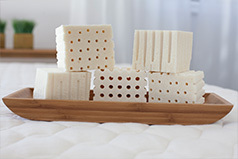 Talalay is Cradle to Cradle certified and has a pillowy, luxurious feel. We especially recommend side sleepers choose a top layer of Talalay to help relieve pressure points. For more information on Dunlop and Talalay, click here. A Savvy Rest layered organic mattress is protected by a casing made with organic wool quilted between layers of organic cotton fabric. There are three primary benefits of organic wool. It is a natural solution to meeting federal fire regulations (which most manufacturers achieve by adding hazardous chemicals). It helps your body moderate its temperature, keeping you cooler in summer and warmer in winter. And it's also extremely comfortable. 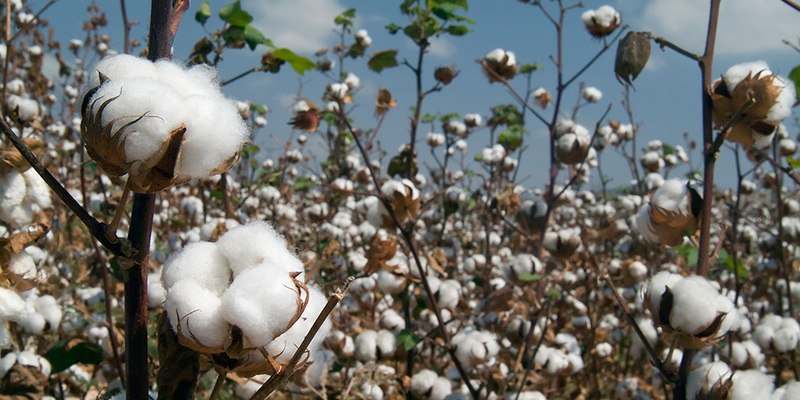 Conventional cotton is produced with copious amounts of pesticides and is devastating to the environment. 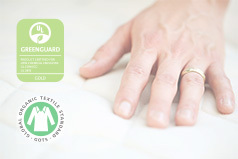 Our organic cotton fabric is GOTS certified. This means it has passed through a chain-of-evidence process that ensures responsible production methods from organic field to finished fabric. Responsible methods do not include pesticides, herbicides, and toxic finishing chemicals. Coir is natural coconut fiber, and is the primary material in our bed rugs (they also contain natural latex). Coir is porous and breathable. It increases air circulation when placed beneath mattresses used on solid-platform beds or in humid conditions. It can also be used as an interior layer in some models. Kapok is a natural fiber found in the seed pods of kapok trees (Ceiba pentandra). Certified organic kapok makes a light, fluffable pillow. Kapok is often considered a plant-based alternative to down or feather fill. Our furniture is made with sustainably-harvested and regionally-sourced maple and poplar wood certified by Appalachian Hardwood Manufacturers, Inc. We believe our furniture should only include the highest quality wood, and never synthetic materials such as particle board and polyester. Savvy Rest takes great pride in using natural materials and values the importance of responsible sourcing and manufacturing. Aside from thread and a brass zipper, Savvy Rest's layered natural mattresses contain three simple materials: natural latex, organic wool, and organic cotton. Choosing simple, natural materials for our products means our customers can enjoy a good night’s sleep without toxic chemicals. Your health and comfort are the most important thing to us.